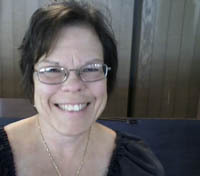 Sharon Diane King (LESA Founder, Translator, Director) is a scholar, writer and character actor. TV and film work includes roles on Gene Simmons Family Jewels, You Should Meet My Son!, disOrientation, and Sunday School Musical. A Ph.D. in Comparative Literature (UCLA), she is an associate at UCLA's Center for Medieval and Renaissance Studies. Recent academic and creative writing includes an essay in the critical anthology Of Bread, Blood and The Hunger Games and a parodic novella, The Younger Games. Currently she and her husband are ministered to by five draconic muses of various shapes and sizes. Her IMDB page. Her Website: www.sharondianeking.com. 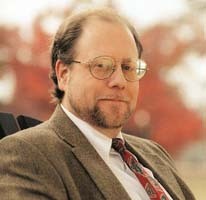 Curt S. Steindler (Actor, Producer, Stage Manager) is an attorney specializing in new media/internet law. He has numerous presentations on science fiction and fantasy, copyright, and animal protection issues for various professional organizations to his credit. 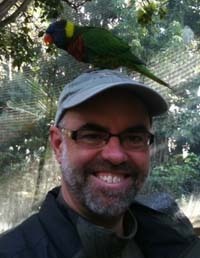 With his wife Sharon King, he works in reptile and amphibian rescue (www.RARN.org). He has directed a number of projects, including the short film, Plant Life (co-written with Sharon King), currently making its rounds on the festival circuit (Official Selection, Fresno Film Festival; Best Mockumentary, Hyart International Film Festival). Ian Frederick Moulton (Actor) is a Professor of English in the School of Letters and Sciences at Arizona State University. Dr. Moulton worked his way through college by performing as an alien and a dog in a traveling puppet show. The height of his entirely amateur acting career (prior to joining Les enfans sans abri!) came in a performance as Peter Quince in Midsummer Night's Dream in a Shakespeare in the Park production in Winnipeg, Manitoba in 1988. In real life, he is the author of several books and articles on sixteenth century sexual practices. He teaches courses on Shakespeare, Renaissance Literature, and Film Studies. Hobbies include wilderness hiking and reading Greek and Latin poetry. Barry Scott Silver (Actor) fancies himself the last living relative of the Lone Ranger (HiHo Silver!) and is an attorney based in Los Angeles. Favorite past roles include Nathan Detroit in Guys and Dolls, Sid Caesar and Mel Brooks (though not simultaneously) in Laughter on the 23rd Floor, Fagin in Oliver! and Sigmund Freud in Balancing The Moon. 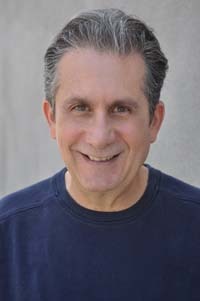 Barry has been in two different performances of Theatre of the Grand Guignol (another joint King/Steindler production) for the World Science Fiction Convention (Los Angeles, 1996 and 2006). He loves the frequent performing excursions to Arizona, where we revisit, as he puts it “the sands of yesteryear”. 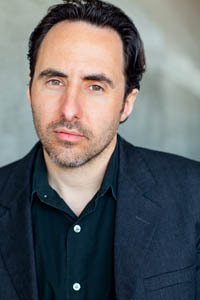 Bradford Smith (Actor) is Professor of History at Oglethorpe University. After several years doing summer stock and children's theater in and around Chicago, including roles ranging from "depressed person in trench coat" to the hero's dog, he gave up the stage for the lectern. Dr. Smith's has written two books and a number of articles on aspects of Reformation Europe; his current research focus is witchcraft and witch-hunting in early modern Germany. 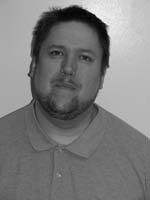 He teaches courses on Medieval, Renaissance and Early Modern History and is affiliated with the Shakespeare Studies Program at Oglethorpe. Tao Will (Costumer, Actor) has been interested in costumes since she was two years old, when she discovered Halloween. She learned to sew at nine and has not stopped since. She hold a Bachelor of Arts from CSU: Long Beach in Technical Theatre where she specialized in Costuming. She has free-lanced for years, even while raising two children and is a dedicated member of the Costumer's Guild West. 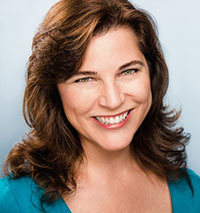 Diane Chernansky (Actor) has performed on stage in Los Angeles, New York, Atlanta, and Japan, where she performed Kabuki theater. She previously worked with Sharon and Curt on the Grand Guignol Theatre production of Departure as well as the short film, Plant Life. 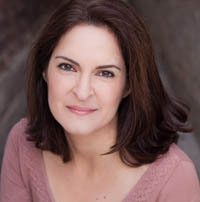 Other theater roles include Queen Elizabeth in Richard III, Mrs. Bradman in Blithe Spirit, and Nicole in a bilingual (French-English) production of The Bourgeois Gentleman. 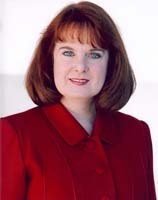 Diane has also appeared on The Bold and the Beautiful. She is shooting Season 3 of the web series A God Named Pablo. Eric Toms (Actor) Eric’s career took off when his comedy troupe sold their late night sketch show to a local TV channel, with Eric serving as writer, performer, and video producer. Eric traveled the world as a stand-up comic and by 25 had already worked with comedy deities Kevin Pollak, Norm Macdonald, Lewis Black, Tracy Morgan and Bobby Slayton. In 2008 he hosted the comedy clip show Reality Binge on Fox, had guest appearances on Good Day LA and Last Comic Standing, and guest starred in the Season 1 finale of Disney's Sonny With a Chance with Demi Lovato. He has starred in feature films such as disOrientation (his performance nominated for the Jury Award, New Haven Film Festival), and has written and performed commercial campaigns for 7-11, Netflix, and Cholula Hot Sauce. Marcia French (Actor), noted for her appearances in Ghost Whisperer, short films A Difficult Thank You and Self Improvement, and for her recurring role as the fallen angel turned succubus Beliala in the neo-goth noir series They Live Among Us. In When Was the War of 1812?, she plays distant relative (4th great grandfather’s sister-in-law) Dolley Madison in an historical quiz show filmed at the Dumbarton House in Washington, DC. Theatre credits include Ruth in Misreadings and Monique Gautier in Balancing the Moon. She is simply awesome at reading books to children after doing so every week in her daughter’s classes all through elementary school because, as was often remarked, she “does all the voices”. Ryan Fox (Actor) His first lead in a feature was Burned which he followed up with dual roles in Romantic Weirdos and the Land of Oddz. Then he traveled cross country starring in the world's first iPhone feature, Rideshare, and completed a web series, Sherman's In Sanity, in the title role alongside Vincent Pastore (The Sopranos) and Mary Birdsong (The Descendants). He recently completed voicing several characters in the upcoming animated feature, Max & Me. 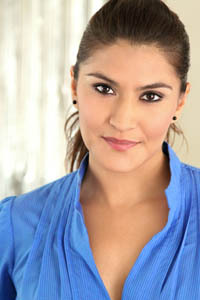 Diza Diaz (Actor) is a local girl born and raised in LA. She has a bachelor's degree from Cal Poly Pomona and is a member of the Eta Sigma Delta honor society. She has only recently moved back to LA after living in Australia where she worked with Beyond Productions on numerous episodes of the Deadly Women series for the Discovery channel to be aired in the US. She also performed as, Mrs. Dearth, in the stage production of Love in Idleness for the Factory Space Theatre Company. Mrs. Dearth was a woman who can be fascinating and dangerous and married to a man she despises. Women on the "edge" are Diza's favorite characters to bring to life. 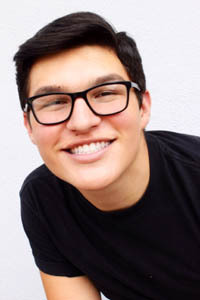 David Morales, Jr., (Actor) is currently a senior at Northview High School in the Film Academy and Media Entertainment class for the third year. He is very involved in school with four years of A.S.B., Honors/Advanced Placement classes and his first year in varsity cheerleading. 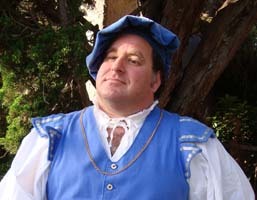 He has participated in few productions at Northview and Covina's community theatre. His roles include The Bellhop/Waiter/Borden in Neil Simmon's Plaza Suite. In addition, he has written, directed and acted in original scenes at the school and theatre. 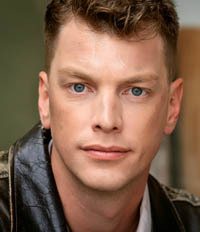 William Fullam (Actor), a graduate student, studies Renaissance literature at the English Department of Arizona State University. As an undergraduate, in addition to studying literature, he performed in or worked on dozens of plays: his favorite theatrical moment was his exiting, pursued by a bear. Anti-dextrous, his juggling skills are known throughout the land (as being laughably bad).